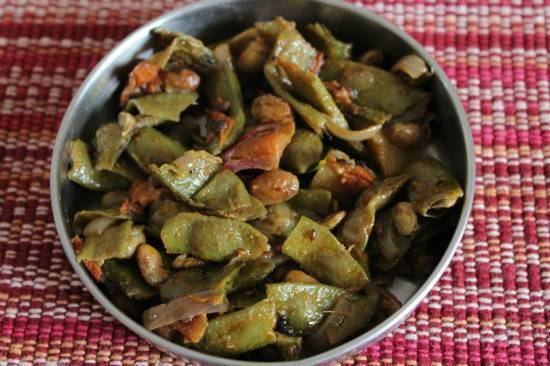 A simple, delicious South Indian side dish with Broad Beans (Avarakkai). Best served with cooked rice, sambar and rasam. Can also be served as a side dish to roti/chapati. 1. Steam cook or pressure cook the avarakkais until half done. 3. Fry the mustard seeds and urad dal for 20 seconds. 4. Add the chopped onions and saute for a minute or two. 5. Add the ground paste and avarakkais. 8. Cook for 4 to 5 minutes. 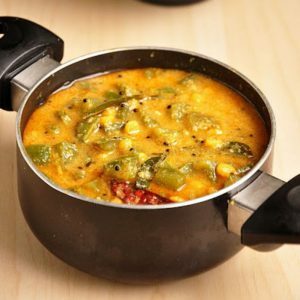 Feel free to comment or share your thoughts on this Avarakkai Masala Recipe from Awesome Cuisine.